an architecture: David Hockney about Photography. 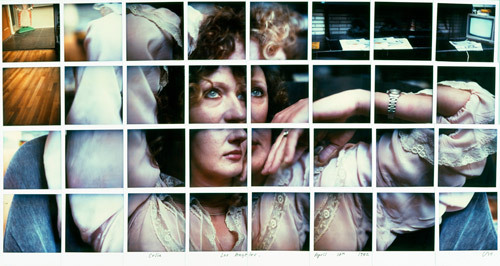 To escape this dilemma Hockney developed a collage technique: individual Polaroids arranged into compositions. On contrary to photography it takes time to see those pictures. You can look at them for a long time - but more importantly the pictures came closer to how we actually see: we see not all at once but rather in discrete, separate glimpses.